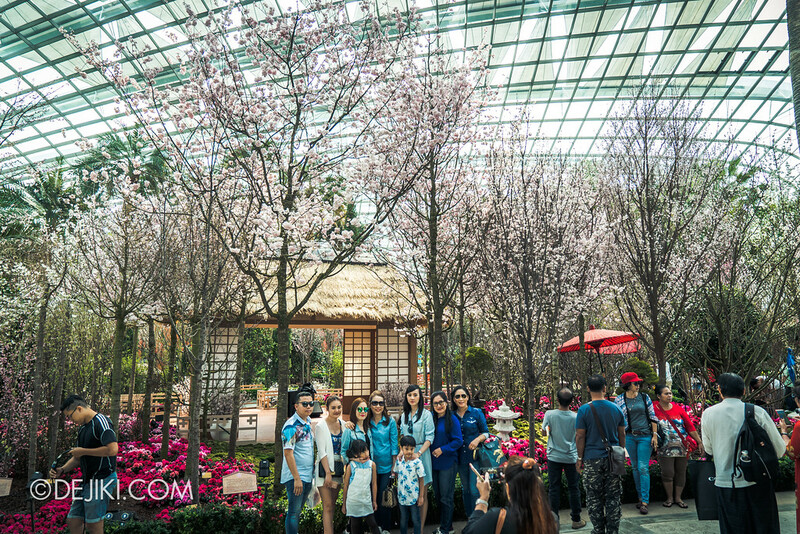 This is the third year Gardens by the Bay created a display around cherry blossoms, and it’s the biggest so far. 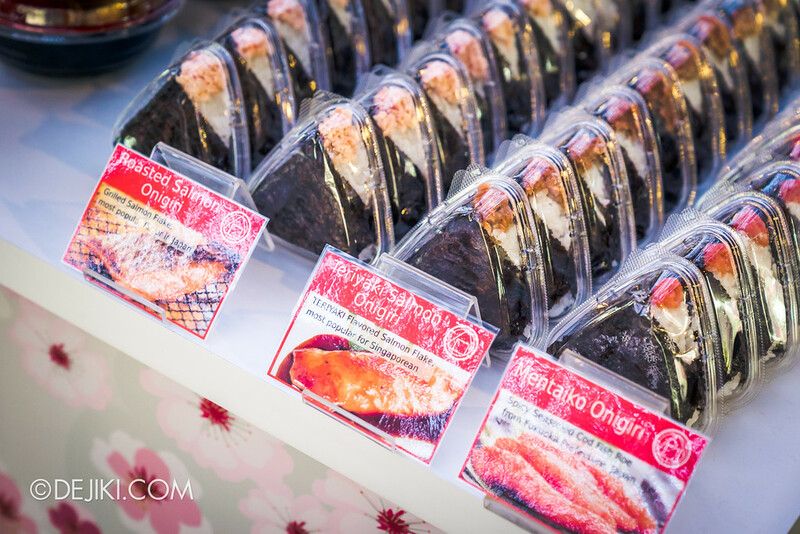 It’s so elaborate that there is a festival held to complement it. 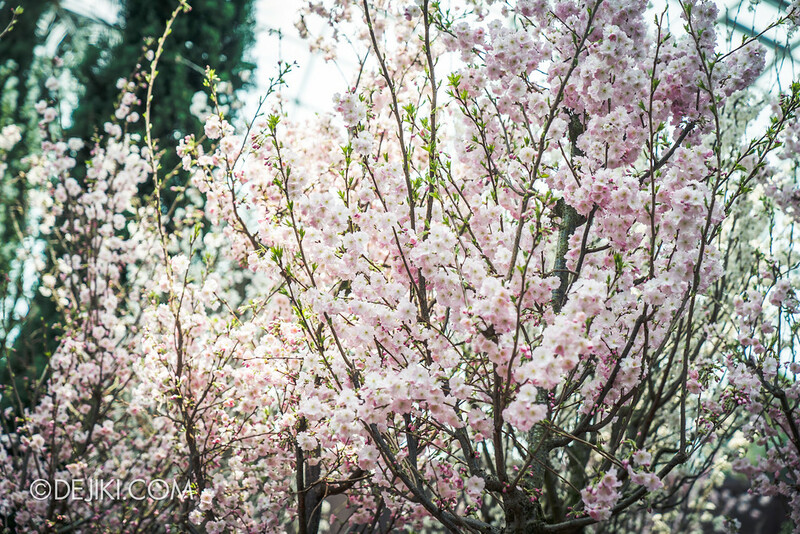 Of course, the flowers reign as the stars here, with 23 varieties flown in from Japan and Europe. 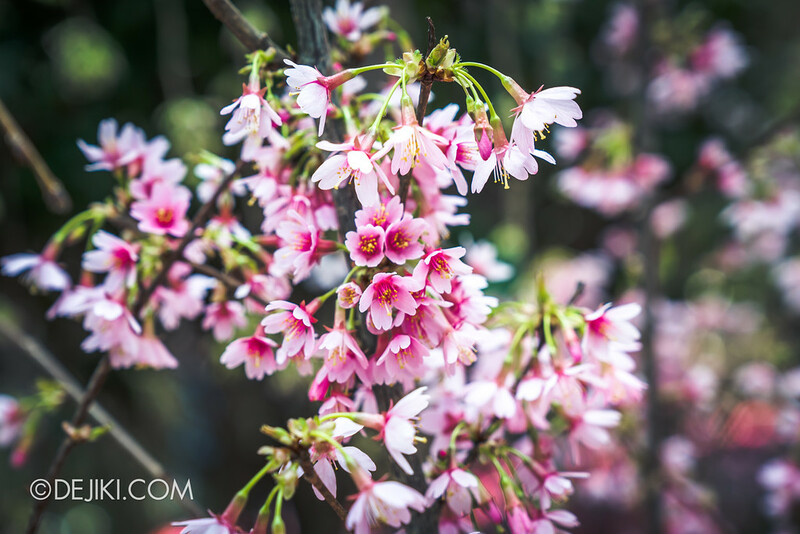 The ever popular pink blooms and snow fountains are back, and some ‘bonsai sakura’ are making their debut this year. 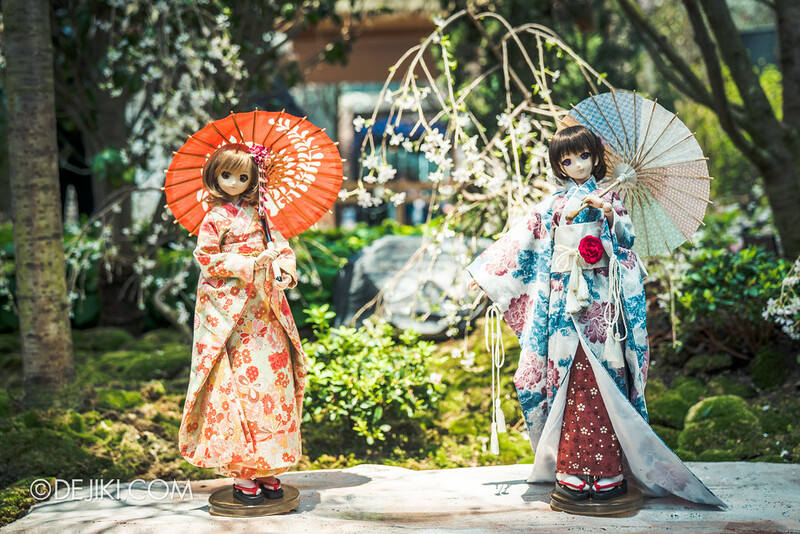 Another highlight this year: miniature scenes with ball-jointed dolls dressed in exquisite kimonos, right beside the bonsai sakura varieties. This display is, in many aspects, magnificent. Even the host during the media preview (exaggeratedly) claimed she lacked the vocabulary to describe it. 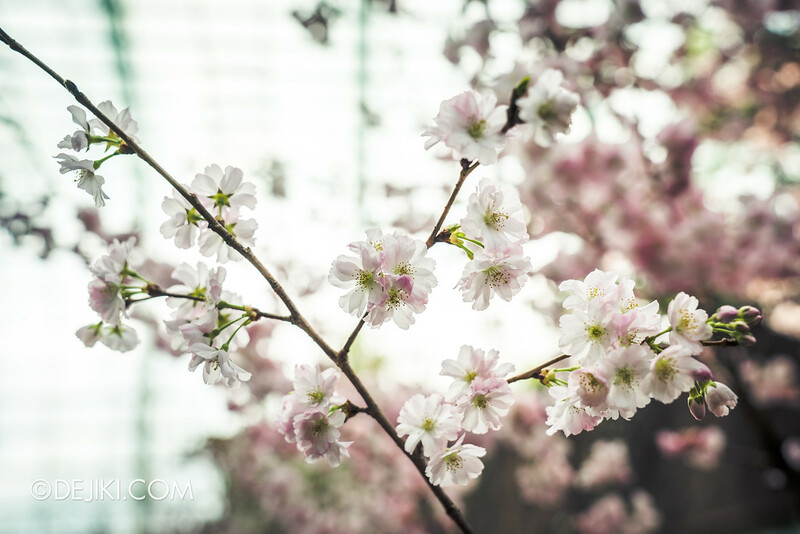 A very melodramatic orchestral rendition of Sakura (a Japanese folk-song) fill the air, befitting the grand experience of walking down the pathways lined with sweeping blooms. 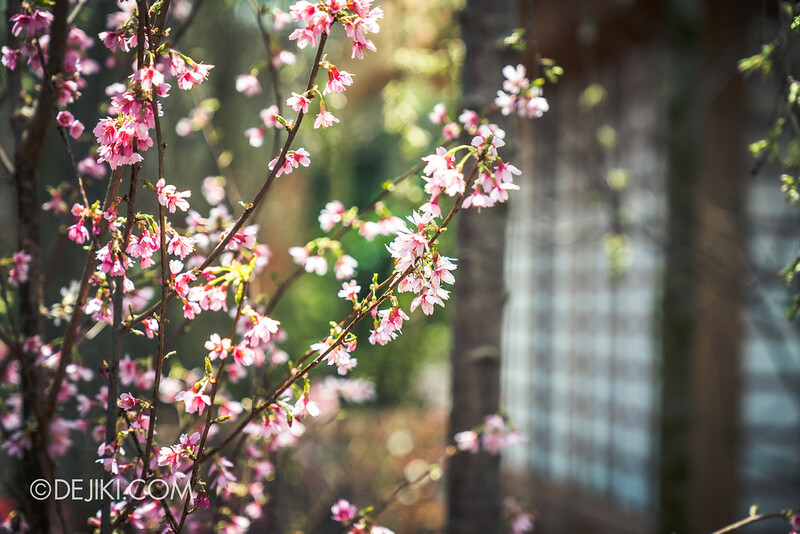 Not all parts of the field would be in bloom at the same time, which makes this floral display worthy of a revisit, even just for the yozakura (nighttime viewing) experience. 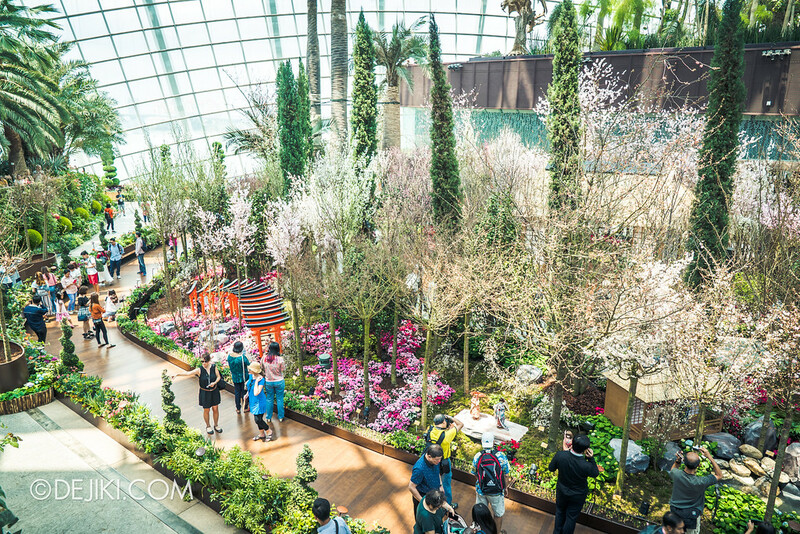 Gardens by the Bay will be posting updates on the bloom progress on their social media channels. 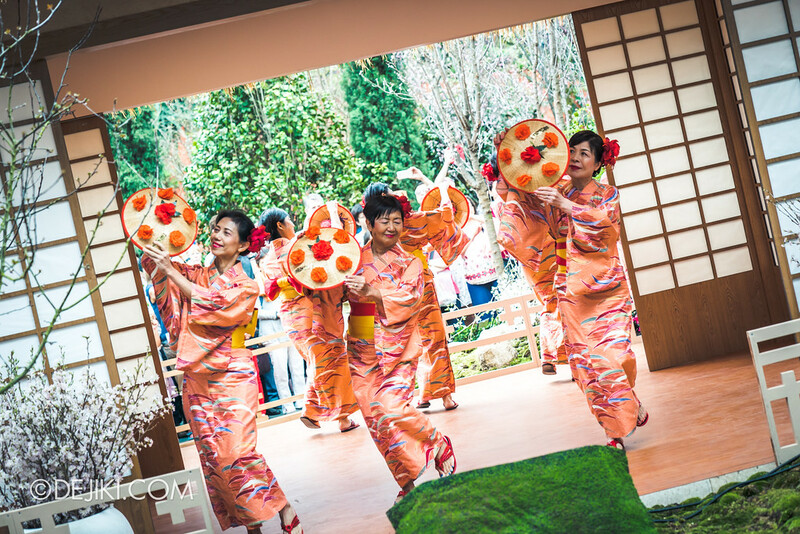 In the middle of the flower field is the tea hut for special performances and demonstrations. 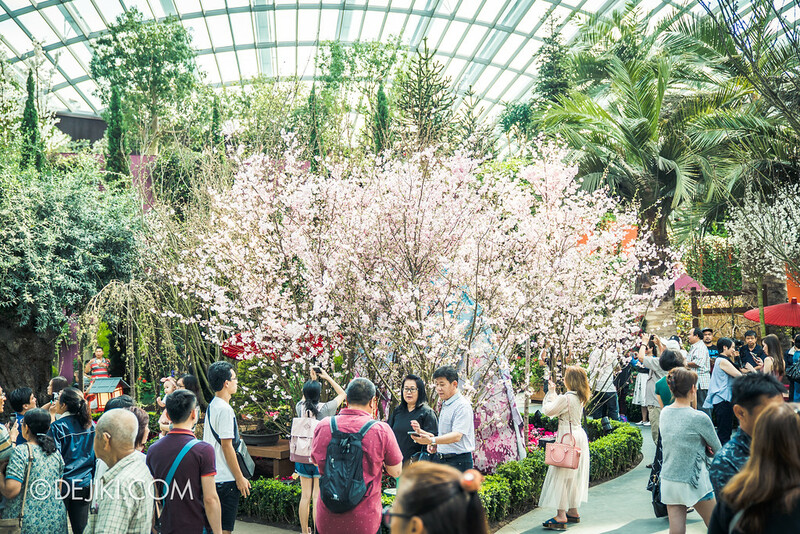 Most of the programmes happen during the opening weekend (17 and 18 March), so you might want to head down right after reading this. 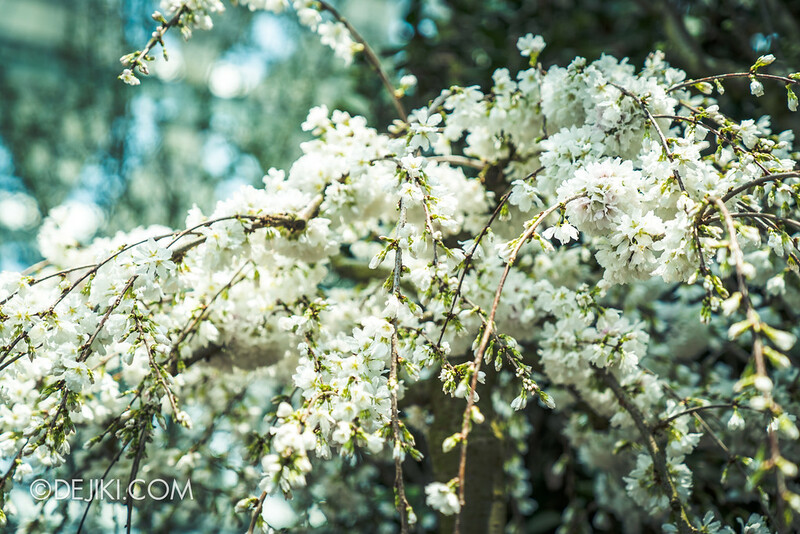 For full event listings, check the event programme here. 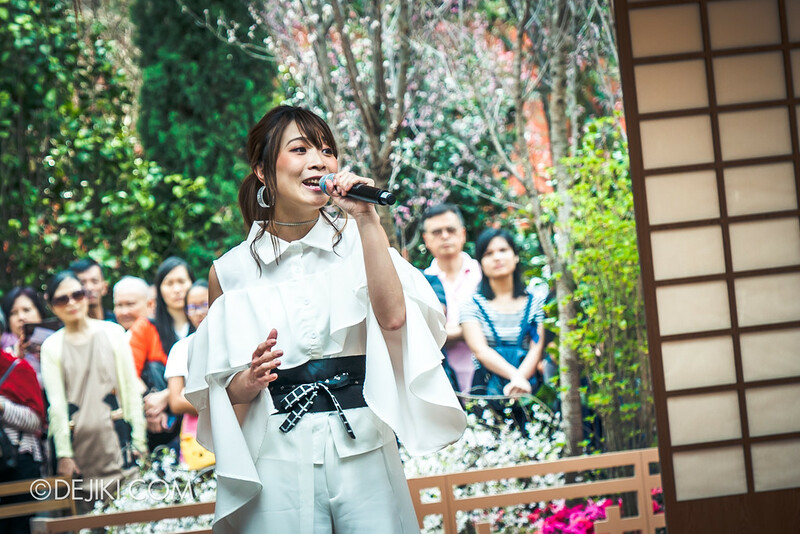 Anime popstar May’n graced the launch of the festival. 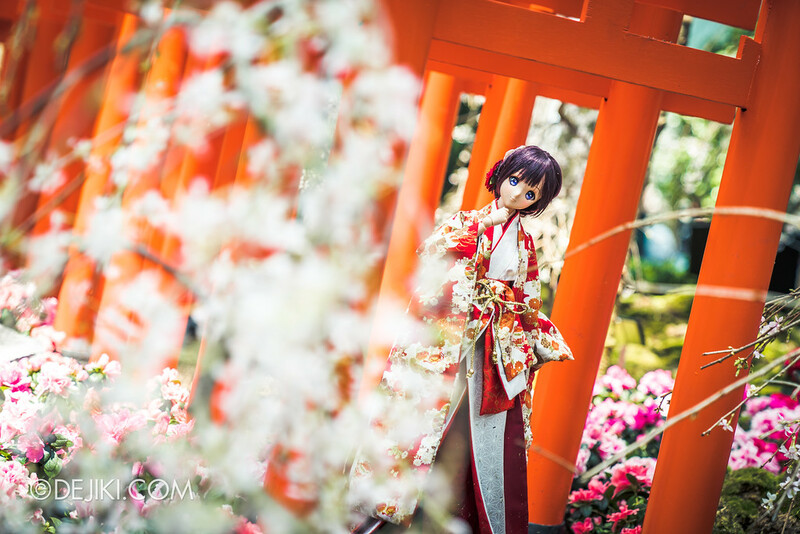 As part of the Sakura Matsuri, there is another festival called Anime Garden at the Supertree Grove. 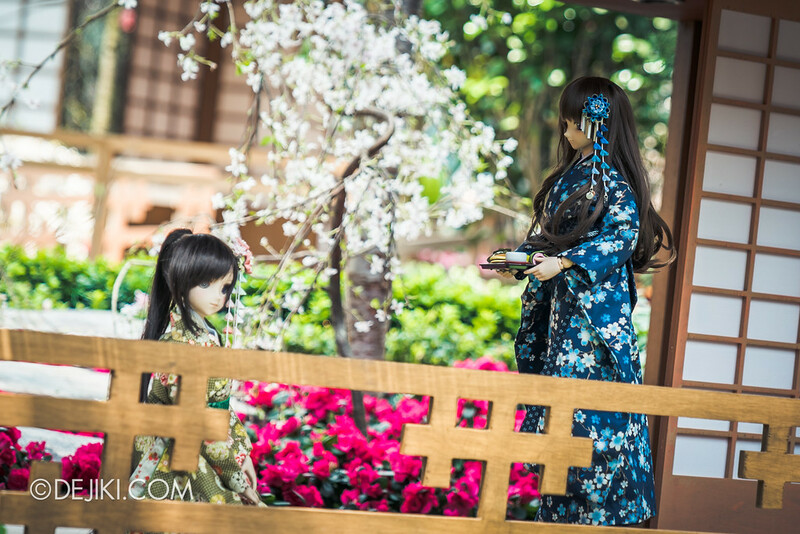 Admission is free to that event, and you can meet your favourite Anisong performers, cosplayers and more! Check the event guide here. 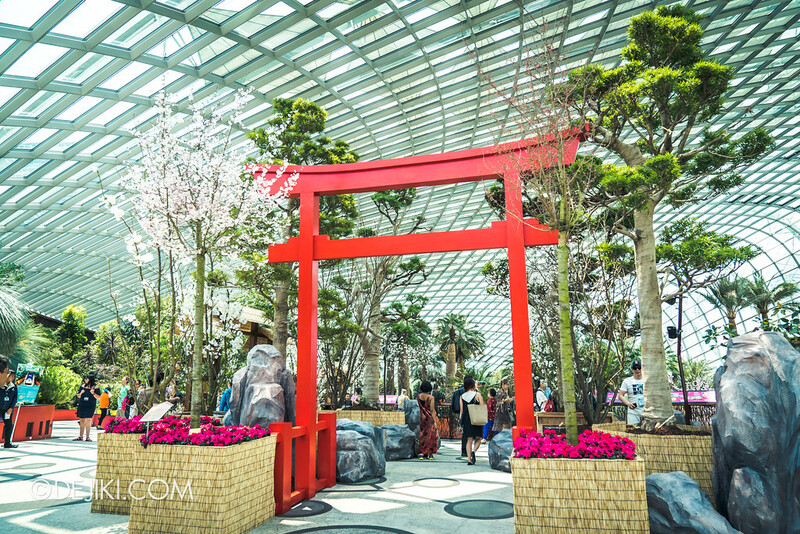 During the last week of the event, the Sakura Japan Fair will take place at the Flower Dome, where you can experience more aspects of Japanese culture (including workshops, performances, and a FOOD fair). 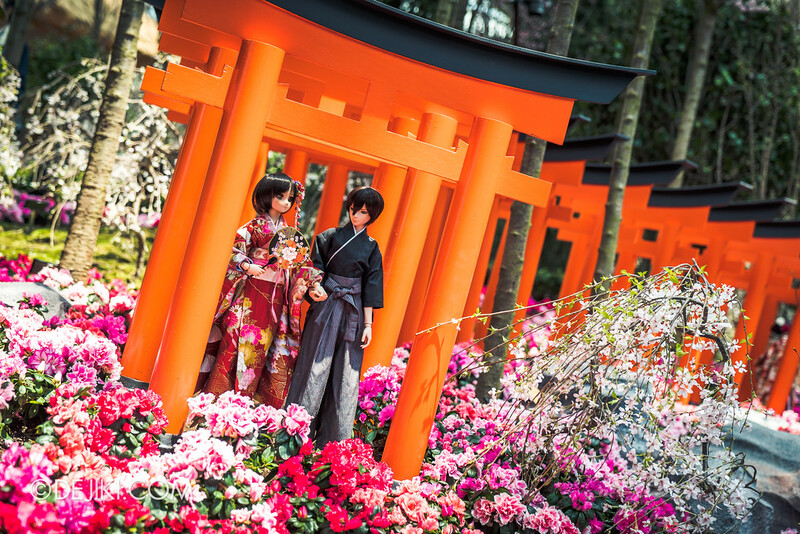 You will also be able to rent Yukatas at the fair, which would be perfect for photos around the sakura floral display. More details here. 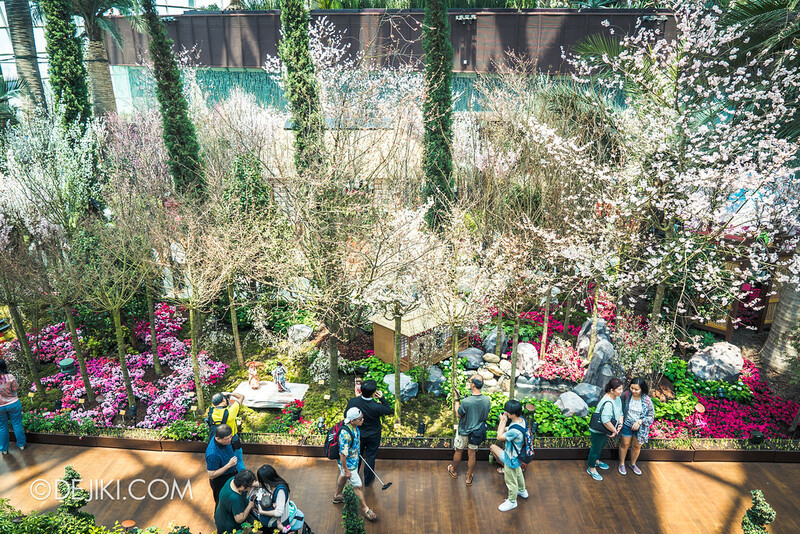 Various events happening in the Flower Dome and Supertree Grove. 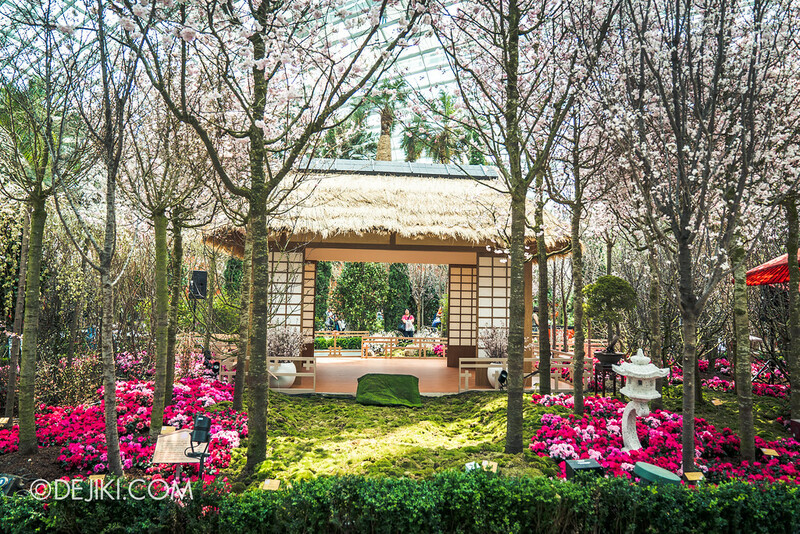 Note: Admission ticket required for activities held in the Flower Dome. 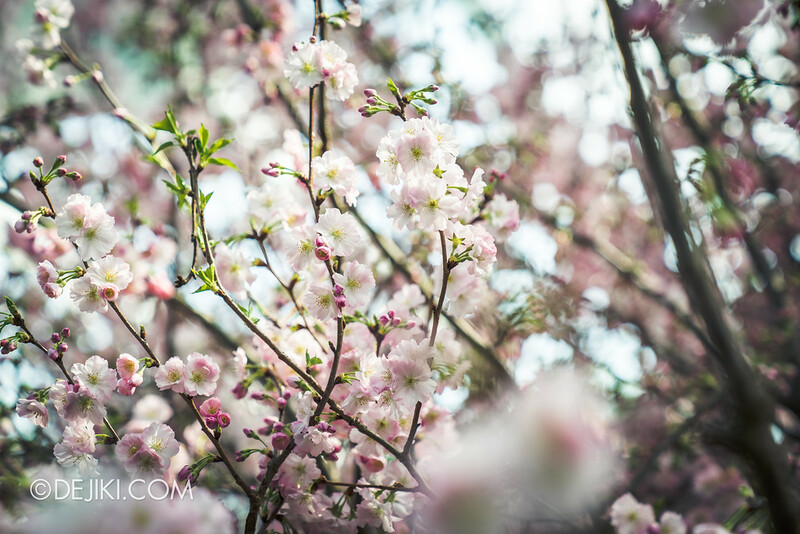 Additional fee may apply for some experiences.